I was thumbing through one of my cookbooks last weekend trying to find some new desserts to fix up and I came across this one in Taste of Home Ultimate Five Ingredient Recipes. We love almond torte, but it makes quite a bit and takes a long time to make. I figured I could give it a shot. For a total of 15 minutes, this is a pretty darn good substitute for almond torte (or as the fashion bloggers like to say, a dupe)! 1. All you need is a pre-made pound cake, cocoa powder, powdered sugar, almond extract, and 1 pint whipping cream. Cut the pound cake lengthwise in thirds. 2. Use a mixer to whip the cream and 1t. almond extract until it forms soft peaks. Add 3T. cocoa powder and 3/4c. powdered sugar. Whip until completely mixed and stiff peaks form. 3. Spread whipped cream mixture between each layer of pound cake and on the top and sides. Refrigerate 30 minutes before eating. 1. 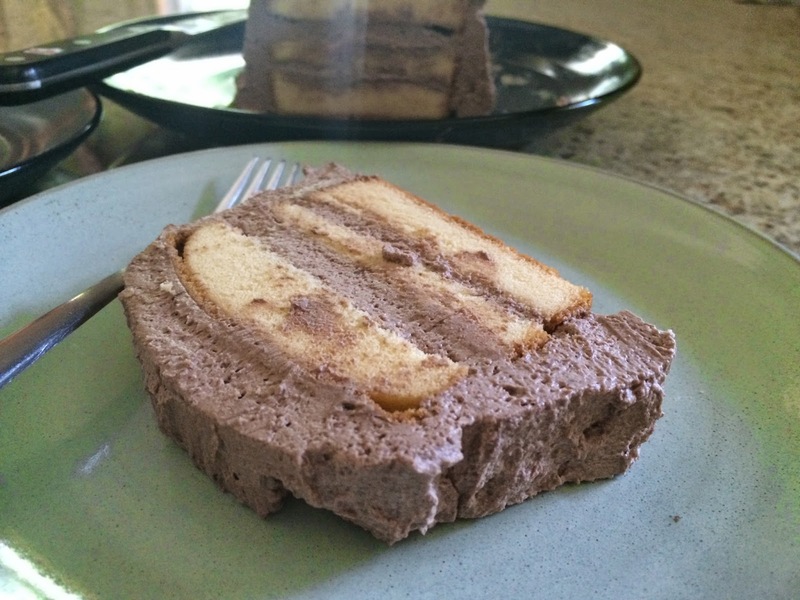 Slice pound cake into three slices lengthwise. 2. Combine heavy whipping cream and almond extract. Whip with mixer on high speed until soft peaks form. 3. Add powdered sugar and cocoa powder and whip on high until stiff peaks form. 4. 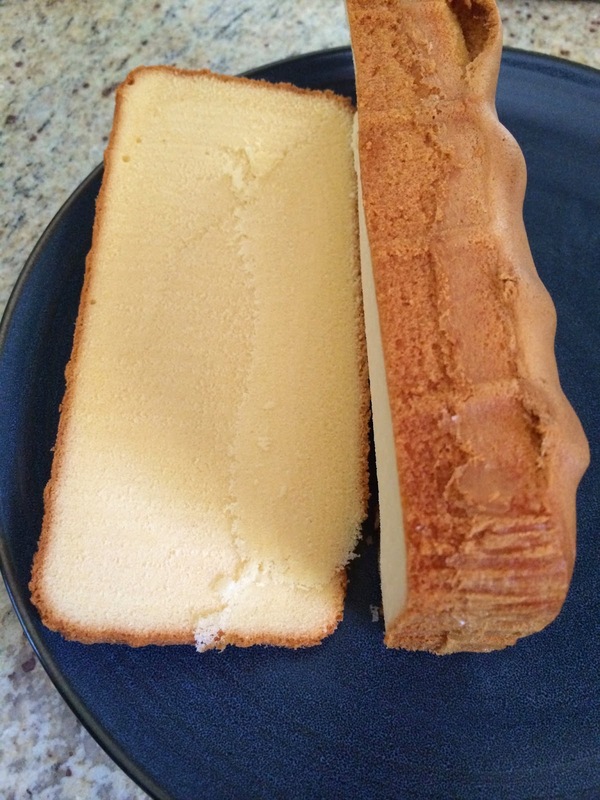 Frost layers of pound cake and on top and sides. Refrigerate 30 minutes before serving. looks amazing, thank you for the recipe. Oh yum! 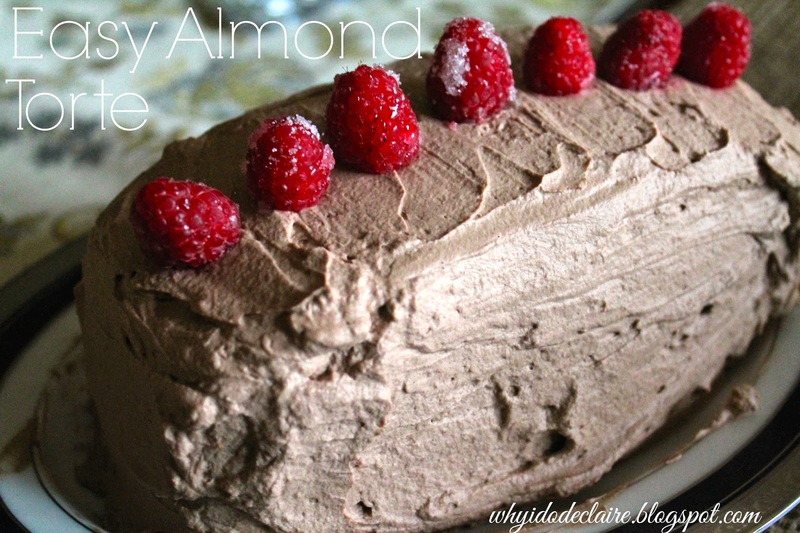 I love anything almond flavored!